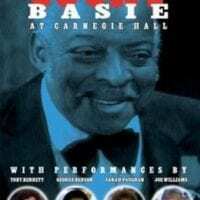 Count Basie –undeniably one of Jazz music greatest legends- delivers a spectacular show live from Carnegie Hall on March 20, 1981 in one of his last televised performances. 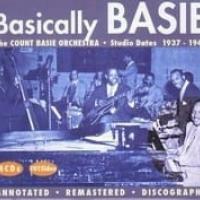 One of the premier Jazz programs for CBS cable and nominated for a Cable Ace award for excellence, this allo-star tribute celebrates the fiftieth anniversary of Bount Basie’s illustrious career. 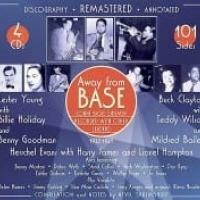 Also features Sarah Vaughn, Tony Benett, George Benson and Joe Williams. 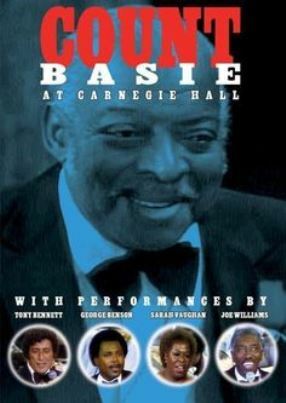 Count Basie & His Orchestra were the headliners of a sold-out 1981 concert at Carnegie Hall that was broadcast by CBS Cable and subsequently issued on DVD by Kultur. At this point in his career, Basiewas using a wheelchair to get around, though his decline in health wasn't affecting his playing style. Most of the name soloists that he had in his band had long since moved on to careers of their own, retired, or passed away, though former Duke Ellington trombonist Booty Wood sticks out as a memorable soloist in "Booty's Blues," which opens with a playful piano-bass duet with Cleveland Eaton. But this two-hour broadcast, which opens with a brief documentary, is filled with guest stars, most of whom are vocalists. Joe Williams easily outshines the others as he revisits many of the hits he had with Basie, including "Every Day I Have the Blues," "Goin' to Chicago," and "Well, All Right, Okay, You Win." George Bensonis a surprise guest on guitar, as he was pretty much playing contemporary jazz/pop at this point of his career. 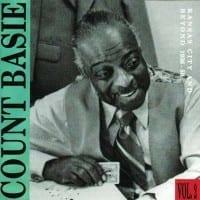 He's at his best on the instrumental "Basie, Cup and Me," though his vocal feature in "April in Paris" is overblown. 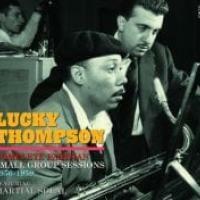 Benson scats and plays in "One O'Clock Jump." After trumpeter Sonny Cohn is showcased in "Shiny Stockings," Tony Bennett brought on for several numbers and he has problems with showboating a bit too much, especially in the ham-handed rendition of "Don't Get Around Much Anymore." Sarah Vaughan is featured extensively and while her pipes are in great shape, she also has problems with overdoing things, backed by her own rhythm section and the Basie band. Things get worse when Benson joins her for a ridiculous version of "Moody's Mood for Love." To wrap the concert, Williams returns for "Roll 'Em Pete," though not before bringing back the other guests to give them each a chorus. The male singers take turns dancing with Vaughan as the band signs off with a reprise of "One O'Clock Jump." The video is well photographed and edited, while the audio is first rate throughout the concert. 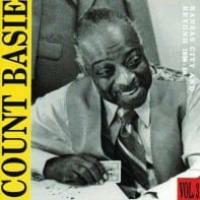 But a few more instrumentals and less vocal numbers would have greatly improved the show, one of Count Basie's last televised appearances.